1 Million Cartwheel Users and Counting! For the past three months, you’ve been saving and having fun with friends on Cartwheel. 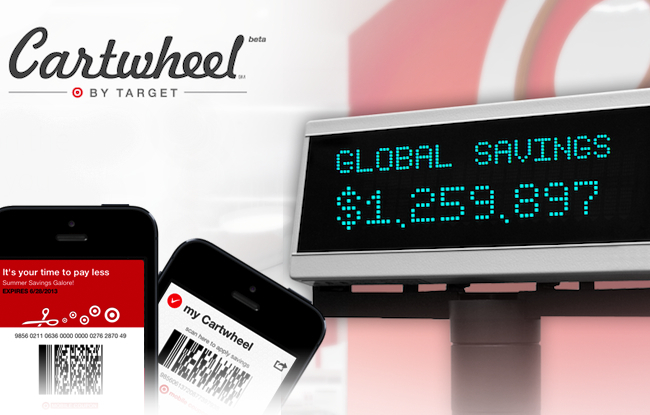 When we first introduced Target’s new digital savings program, we thought our guests would love it. But weren’t sure how fast it would catch on. In hindsight, we should have known—every Target guest loves a good on-the-go deal. Today, we’re celebrating one million users! So, many thanks to you and your friends for stacking up on savings and making Cartwheel a success (and among the most downloaded apps in the Apple App Store). And while we’re excited about this milestone, we’re just getting started. Stay tuned for more exciting updates! If you haven’t joined yet, now’s the chance—download the app at Google Play or the Apple App Store.